in every city, coast to coast. We relieve your stress & make your fleet look good. I would like to thank everyone at azpro for helping me grow my business. They always made themselves available when I had any questions or ideas. I stopped by their office a few times and always received a warm welcome from everyone at the front desk. My wrap was installed within a few weeks of the first meeting and came in under budget! My wrap was well worth the investment. I’m so glad I chose azpro for my truck wrap. Azpro understands that sometimes your fleet needs an overhaul. 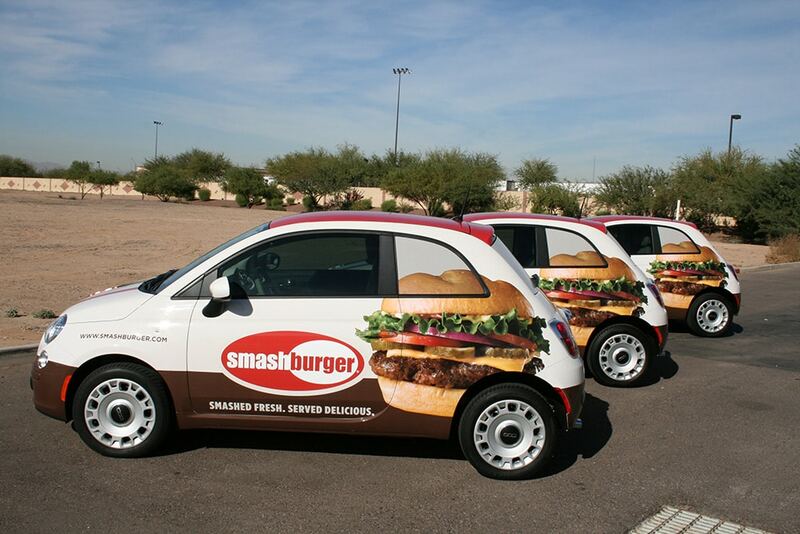 Is your fleet fading and peeling, not clearly advertising your brand, or just plain naked? Nothing is worse than a fleet of vehicles or trucks that do not promote your company while parked or moving. At azpro, we have an amazing team to help you design and create your brand plan for your fleet wrap and then help you implement it. azpro is proud to say we are 3M, DI-NOC certified installation company through the UASG (United Application Standards Group) as well as a master certified business through the PDAA (Professional Decal Applicable Alliance). Vehicle and fleet wraps are cost effective. When you begin to compare the cost of fleet wraps to traditional paid advertising, a larger picture is painted. Once your vehicle is wrapped, you have no continuous media cost. You no longer have to pay for ad space or airtime, as your vehicle is delivering your messaging for your brand. Wraps always beat traditional paid media when it comes to cost per impressions. When it comes to alleviating the worries and frustrations that come along with planning and implementing fleet and vehicle wraps, let azpro get the job done right for you. We love building solid, long-lasting relationships with our clients. Contact us today to get started on your fleet and vehicle wrap project.